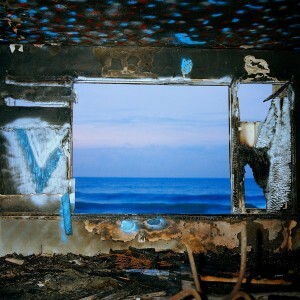 On Deerhunter“s seventh album Fading Frontier, the boys from Georgia have moved farther from the driving angst of past records towards a calm they”ve been seeking for over a decade. The dramatic change in perspective from 2013″s lashing and visceral Monomania is likely the combination of the natural chill that comes with aging (the guys are in their thirties now), and circumstance (frontman Bradford Cox suffered a life threatening injury when he was hit by a car while walking his dog Faulkner in late 2014). The result is the bands most accessible and straightforward record, akin to Radiohead“s In Rainbows in that an aggressive and experimental band has allowed themselves to relax and sound pretty. In recent interviews, Cox has proclaimed a contentedness in his life and it”s evident in the music. “Breaker” is gorgeous with strings and, most strikingly, the song features the first ever harmony online casino with fellow creative catalyst Lockett Pundt (who fronts Lotus Plaza). It sounds awesome, and hopefully a sign of things to come for the band. Deerhunter, and especially Cox with his other project Atlas Sound, has always felt comfortable contrasting angst with ambient sounds, and on Frontier the edge has further receded. “Living My Life” sounds almost adult contemporary, in the best way possible. Cox created a concept map for the record, and notes INXS, REM, and Tom Petty as influences. This album could actually exist as background music, whereas every other record from the band DEMANDED attention. Cox began taking antidepressants after the accident, and one has to wonder if the ease with which the band moves through these soundscapes is partially attributed to medication. It”s not all easy resignation though, as “Snakeskin” has a southern swagger. Cox is resisting the old folks home on “Duplex Planet.” “All the Same” has the punchiness of songs from Microcastle and Halycon Digest, and is the only time the band comes close to flexing their muscles. “Take Care” is sprawling and epic. “Leather and Wood” is spacey and psychedelic, and would sound at home on an Atlas Sound record. Album closer “Carrion” has Cox contemplating his life cycle, and trying to get comfortable with inevitability, but lucky for us he isn”t able to totally let go. We”re left with Cox singing “what”s wrong with me?” While there”s certainly more contentment, there”s a compelling tension beneath the surface still, pushing forward.